Simply Deeptima | Beauty and Lifestyle Blog: CLOSED !!! Deeptima's International Sigma and Charm Factory Giveaway !! CLOSED !!! 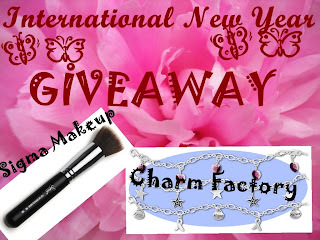 Deeptima's International Sigma and Charm Factory Giveaway !! 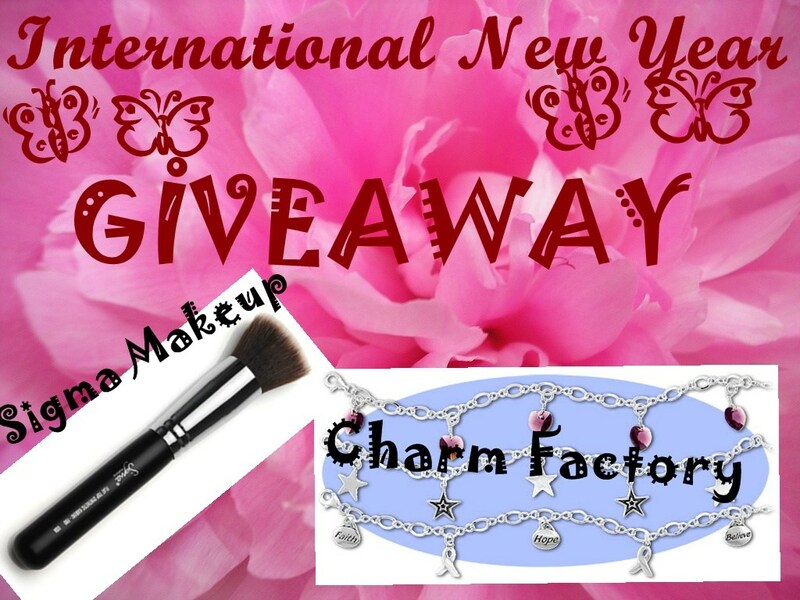 i am so happy to announce that i am organizing International Giveaway, as i became a Youtube Partner and Crossed 700 subscribers on YouTube and 100 followers on blog and another great news is that my giveaway is Sponsored by Charm Factory and Sigma Makeup. The Giveaway is divided into two sections so that everyone can participate !! I have merged my Blog and Facebook Fan Page and will pick one winner from here and another winner will be randomly selected from Youtube. 2. Leave a comment for me below this post with your email so that i can contact you if you win. 3. Invite you friends to get 2 extra points. Please make sure your friends mention your name in their comment. Your Points indicate the number of times your name will appear in the final list !! GOOD LUCK EVERYONE !! If u have any queries feel free to contact me ! enter me pls - i'm a follower here and on fb! hey deeptima.1st of all congrats n i m so happy 4 u.i m already a follower.plz enter me.thx.my elail is-rzopey619@gmail.com. Congratulations for 700 followers.. I am following you everywhere and have added the giveaway to my side bar & have done the blog post too. Heyyy..congrats deeptima u deserve it so much !! Hey please enter me. I'm already following you. GFC follower here as Ms. M. Followed your FB page as well as FB page of Charm Factory and Sigma Makeup as Mxy Rxy Fernandez.. I don't use Facebook, Deeptima, so I guess I am not eligible for the giveaway..I do follow you though because you do awesome tutorials :) :) All the very best and wish even more success to you in the future..
following you here n on facebook enter my name too. hey deeptima!!!partnerrrrrrr!!!!!! !dats just awesme! !i cnt tell u hw i usd to wonder y rnt u a youtube partner or u......coz ur tutorials r awesme! !good luck to you!! Thnx a lot everyone for participating !! Sry for not being in touch, was a lil busy !! liked both the sponsors pages. I just followed you. Wonder why i dint do it before. :(( I dont use facebook anymore but anyway all my wishes are with you and keep doing awesome tutorials. Mwwwwaaah!!! @Rati Di: Thank u soo much!! Mwaah !! 2) already liked ur facebook fan page many days ago.. Thanks a lot for doing this giveaway! its so amazing! and I am dying to try out the F80 brush!!! I've already followed up with the rules, so please enter me. Congrats Deeptima! Please enter me. I already follow you. 'Like' your facebook fan page as Monika Lintang Retnani and follow via GFC as Monik. 'Like' Charm Factory and Sigma Makeup on Facebook as Monika Lintang Retnani. Post a link about this giveaway on my blog's sidebar here. Hey Deeptima! Thank you so much for holding this giveaway! I would love to enter in this! Hey! i m karamjeet kaur and would like to enter in your giveaway. - I "LIKED" your & Sponsors Fan page. - I Subscribed your Channel in you tube and also left my comment below your giveaway video. i liked yours n d sponsors page on fb. one more thing .. i was searching for a google connect tab ..i cant find anywhere.... can u help me out? Forgot to tell you that I follow your blog on GFC as hhhnp12. I follow you on GFC, FB and I have followed both Sigma and The Charm Factory for a long time! I subbed your youtube, blog and facebook!